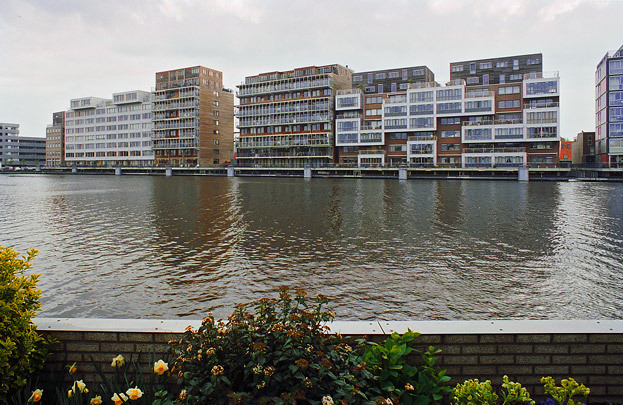 Since 1989, the run-down industrial sites along the river Zaan have steadily been replaced by new-build, predominantly housing supplemented by cultural and recreational facilities and commerce. The most notable features of this 11 kilometre long project are Zaaneiland, a new district in Zaanstad, to a design by Alle Hosper with housing by Rudy Uytenhaak and others, and the Zaanwerf component of the project near the town centre. Europan competition-winners Tania Concko and Pierre Gautier supplied the masterplan. The chunky brick housing takes its cue from the original industrial architecture.